I wasn’t raised in a house that embraced tolerance, non-judgment, or mindfulness. I don’t want to say it was generational but I do know that a lot of the kids in houses around me were raised the same way. A lot of the families I grew up with focused on surviving. We all lived paycheck to paycheck. We all depended on the bodies within the house to help one another. It was so rare for us to look out. Not just outside our door but outside our small town, or even our county, state, country. I don’t want to raise my child this way. I think a lot of my insecurities, inabilities to cope and understand, and my weaknesses stem from the disconnect I felt toward the world as a child. My parents, as much as they loved me and wanted me to thrive, created a dependence that has taken me my adulthood to leave behind. I want better for her. I also realize that when she has better, the world has better. She is not one little girl alone in the universe but a valuable piece to the puzzle that is our world. What can we do to raise our children to be the people they need to be to thrive not just as little sponges absorbing every experience and memory, but to thrive as adults who we are trusting our land, air, and universe with? It’s vital to let our children know that no matter where we are in lives that someone is living a life not like their own. In a child’s head it’s very easy to see everything, and everyone, as equal and that’s one of the most beautiful, pure thoughts that can exist, isn’t it? Revel in that incredible idea for a moment. Now knowing this it’s so important to raise conscious, thoughtful people. Bring your child to the local nursing home, the animal shelter, the food bank, the shelter and ask what can we do? Every year my daughter volunteers on Thanksgiving afternoon handing out dinner to residents at a nursing home and sitting with those who are alone. So many folks don’t have a family or haven’t just hung out with a child in years. Youth is inspiring. Children bring smiles. They make us feel young and capable and remember what it was to be young. The residents look forward to it every year. So does my daughter. She can feel their appreciation and she knows they are grateful. They tell her so. These are the moments we’ll remember. This is what life is all about. So go sign up and practice good living. Check out your local paper or their website or Facebook and find some local events. Something is always happening. Parades. Runs. Farmers Markets. Clean up the neighborhood days. Festivals. Oktoberfests! Not your thing? Great. Then, tat’s exactly why you should go. Often the things we believed just weren’t our thing, evolves. Let your child see you step out of your comfort zone and into the world so that they can follow in your footsteps. If your child wants to stop along the way let them. Exploration leads to understanding. Understanding leads to knowledge and conversations that could reveal crucial things to teach your child about the world around us. My daughter loves the local Farmers Market and every Saturday we go. Vendors have begun to know her name and even when I’m busy picking out the bread or veggies I want she can be seen and heard interacting with them. After just a few months she knows their names and they know hers. She is becoming a part of the community by being present and curious. Always encourage your child to ask why, what, how, where and who? As tiring as these moments can be they are the most important. It’s also a really fun thing for your child to get to school the next day and tell everyone about the new things they are doing and perhaps inspire other children to tell their parents can we go try this? 3. Do something creative with your child. 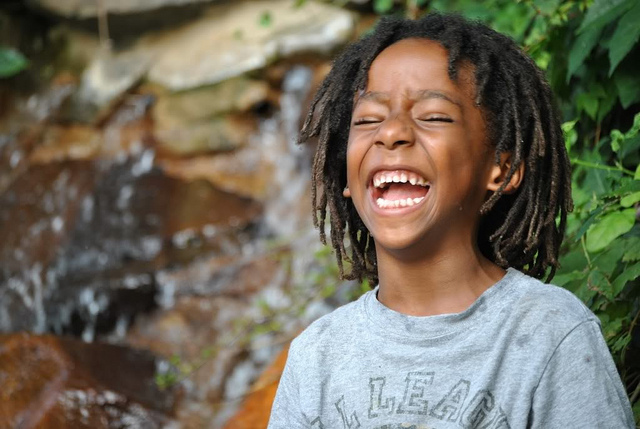 Show your child that at any age we can express ourselves, have fun, and be silly sometimes. There are thousands upon thousands of free ideas on the Internet. Google is your assistant sometimes and that’s okay! In our house we have nearly a million various projects going on. Currently, we have started a worm farm. It was a blast to go outside and try to hunt for the worms, build a home for them, and to feed and take care of them. My daughter was not only enthusiastic and interested but it allowed me to get involved and help us both brainstorm as partners on how to make a home, what to feed them, and where they should sleep in the house. Just go collect some random supplies and create something. Not only will your child love the time you spent on detailing a fairy garden house for the windowsill but you will be whisked away from everything that plugs you in and tunes you out of being centered and calm and relaxed. Also, these projects are perfect for gifts for holidays for aunts, uncles, grandparents, or even a neighbor, or teacher. Not so much the worms, but you get what I mean! It’s as simple as that. The library not only serves the second point but it also can help number three too. Take out a book on crafts, on how to paint with watercolors, or just a cookbook. Cooking a meal with your child is just as creative as painting a ladybug on a rock. The point is the togetherness. The library also serves to show your child where to go to find answers. If they are raised to believe that Google is the only way they will miss out on knowing their local librarian, or how to use the catalog, or get to know the neighborhood kids who are also digging around the shelves. The best part about a library? Free books. Books are information. Your child can explore the world, with you, just down the street. Similar to number one. It’s so important to let our children know that not everyone has what we have. Even when we feel we don’t have much we have to remember there is someone with even less. Wouldn’t it be an ideal world if every child had a warm coat, gloves in the winter, a pair of shoes, or clean socks? And beyond ideal wouldn’t it be a beautiful world if they all could go to bed at night and have stack of books to read, a warm blanket to wrap around themselves, and a stuffed animal to snuggle with? I think so too. Again, the power is leading by example. Let your child know you are going through your clothes, books, and housewares to donate. While you do it talk with them how it will help others, and how important it is to share what we have with those we live near. I urge you to bag up those pants that are too big, or too tight, the winter coat you haven’t worn since the new one you bought, the stack of books that you haven’t even noticed in months. The more you give the more your child will see how they could help too. I go with my daughter into her room and ask her about the things she might have that someone else might be able to use. I try to word it in a way she’ll understand. Every child loves to get. Don’t you think another little boy would love a teddy bear too? You just got a new coat for school wouldn’t it be nice to give the old one to some little girl so she can be warm this winter too? Children love other children. When they can visualize another child loving what they have loved it excites them. It excites them because it is exciting. Wouldn’t it be cool to know that your turtle stuffed animal could live in our house but also in some other families’ house too? Let them make the decisions on what they are ready to part with. This will make them feel like the giver and that is important for a lifetime of giving. We hate to be told what we must give up before we are ready. It is painful and it hurts, no matter what age. So let them take the lead on what they are ready for with your gentle guidance. 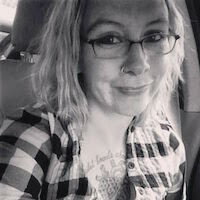 Jacqueline Kirkpatrick’s work has been published in Creative Nonfiction, The Rumpus and Thought Catalog. She is a graduate of the M.F.A. creative writing program at The College of Saint Rose in Albany, NY. Follow her on Twitter at @thebeatenpoet.